Hi! 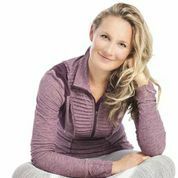 This is Kat Farrants, founder and CEO of Movement for Modern Life. Welcome to our brand new blog and welcome to the Movement for Modern Life. On this blog I will be sharing my news and views on yoga and wellness and will be inviting the Movement for Modern Life teachers and an expert panel to share their thoughts. I am so excited that the Movement has now been launched and we have received so much wonderful feedback. I love it when people write in to tell me how the site is helping them incorporate yoga in their daily routines. Of course, I know that this only reflects on the strength, quality and hard work of our teachers, so I want to take this opportunity to thank our teachers for having faith in us for moving this Movement forward. We have so many exciting plans for 2014 and onwards. We will be launching programmes which you can sign up to and receive directly into your inbox your daily yoga and wellness regime. This is so important to me because I know exactly what it is like to be way too busy to scroll through hundreds of videos, we are here to make yoga easy for you. We are also partnering up with some really wonderful companies, again, to make health easy for you. We have new studios coming on board and plenty of fantastic new videos both with our existing teachers and with some shiny new ones in the pipeline. Let me know via an email or blog how we can make moving easier for you this New Year.